And even though that’s a year away, we’re starting to see signs of the changes that will take place around the addition of those Lands now. 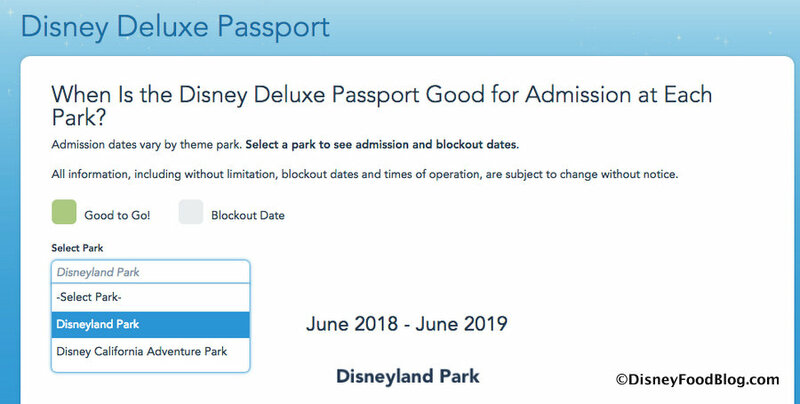 Case in point: Disneyland Annual Passholders will now see park-specific calendars when they visit disneyland.com or the Disneyland app to check out the block-out dates (if applicable) for their Annual Passport. And you can currently see the calendars as far out as June 2019 (13 months as opposed to the usual 12 months). The Disney Deluxe Passport displays Block-out dates in gray. Here is the schedule for Disneyland Park for the current month (as of publishing), June 2018. 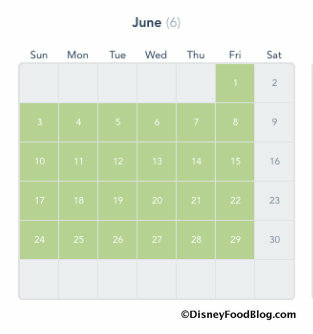 And here is the schedule for Disneyland Park for June 2019, where you’ll notice a significant difference, with all Fridays, Saturdays and Sundays blocked, then a jump to the rest of the month being blocked beginning June 21, 2019. 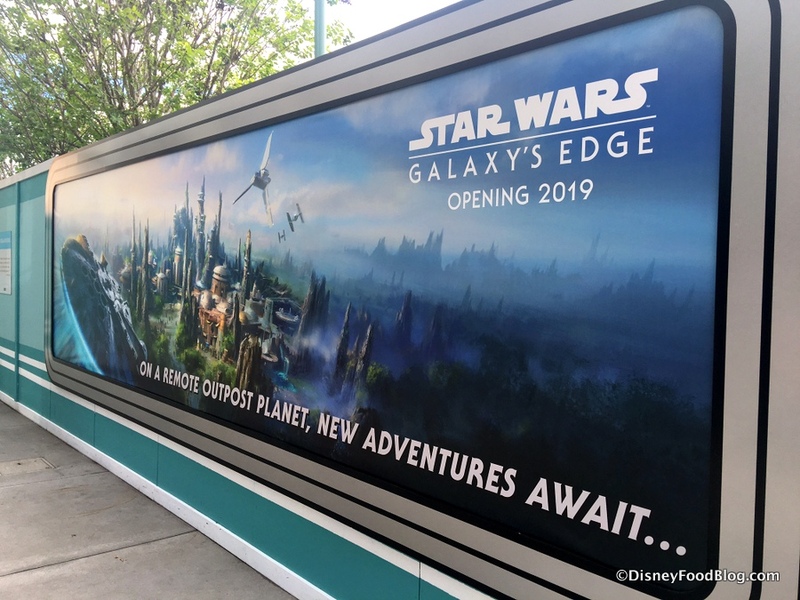 Importantly, it’s also worth noting that Disney California Adventure is not similarly blocked out for June 2019 at this time, as displayed on the screenshot below. 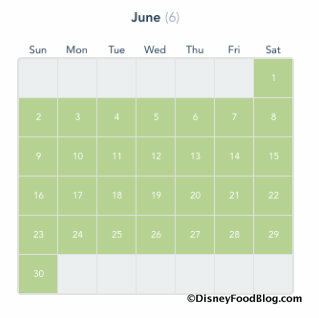 So be prepared to look at both park calendars on your preferred dates to see if both parks will be available to you! This is a first! Yes, big changes are on the way, indeed! 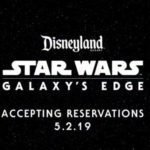 Disneyland is expecting huge crowds next June and beyond. And even though Disneyland annual passes are still hundreds of dollars each, block-out dates for many passholders will increase. Time to crunch those numbers again to see which pass will give you the biggest bang for your buck now that parks have different block-out dates, and block-out dates will be increasing. To date, however, Disneyland is still offering the monthly payment program for Disneyland annual passholders. Visit our Disneyland Page for more Disneyland Resort information! 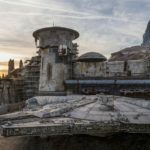 Millennium Falcon Has LANDED at Disneyland’s Star Wars: Galaxy’s Edge! 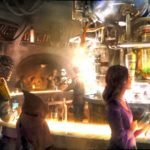 What’s It Like to Be Chosen as a Cast Member for Star Wars: Galaxy’s Edge? So if I am reading this correctly people that take advantage of being a passholder are going to be pentalized? I guessing one can only conclude that this may also come to the World passholders? My wife and I are DVC members and have been annual pass holders for over 10 years. 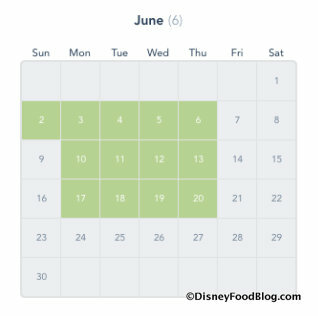 I am concerned that with the Walt Disney World decision to start charging resort guests for parking , (I know DVC are currently excluded) and Disney Land “testing” the idea of limiting pass holders to mid-week days in June they are pricing many families out of the opportunity to visit these parks. WDW is not a cheap place to visit as it is, and the apparent desire is to push the income to the limit is going to kill the “Duck”, if not the goose who laid the golden egg. I don’t think I’m a prude but they are already pushing alcohol at every turn to increase their profits. Walt would not be pleased to see alcohol served in the Magic Kingdom. The Walt Disney Company is no longer built in the way Walt and Roy first created. While the theme of what they intended is still promoted, the reality is that the “magic” is now just a word used by many in conversation, but isn’t enjoyed magically by most – as today’s Disney upper leadership and management is solely focused, and motivated on increased revenue, finding more ways that they can gain more dollars out your pockets, all the while not sincerely caring what your Disney vacation experience. 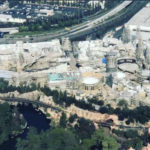 When I started to enjoy the Disney theme park visits in the late 1960’s, I would return from my trip reminiscing on the special moments that my family enjoyed and shared together. Today, I realize that I am not motivated to visit as often as I once did, and when I do, my take-a-ways are more focused on what we were not able to experience or enjoy, and the ridiculous cost of our vacation. blockout dates already include weekends. this year it started on june 4th through part of august. the last two weeks in december and first weekend in january. there is also a 14 day blockout during spring break. We got priced out of our pass holder status a couple of years ago and can no longer afford to take our grandkids. Disney is so greedy now, and they are becoming the playground for the “rich and famous” only. This is so sad!